If you are undertaking a construction project that requires an underground service trench, the guidelines below will allow you to complete your work safely and in accordance with regulation. Before you begin any work, you first must contact Hydro Ottawa to arrange for a Customer Layout. 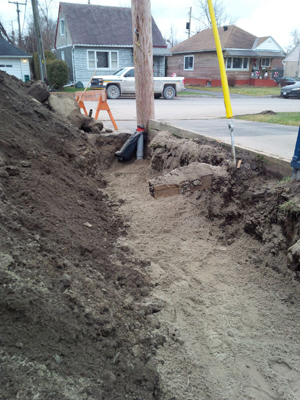 The Customer Layout is the scope of work required by Hydro Ottawa, and includes all details required to proceed with the service connection. 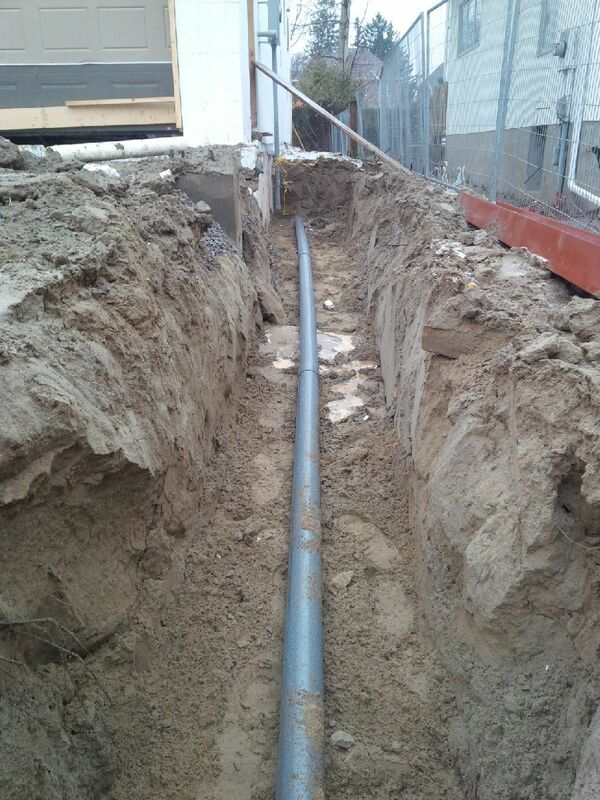 It is important to arrange for the location of all underground infrastructure. 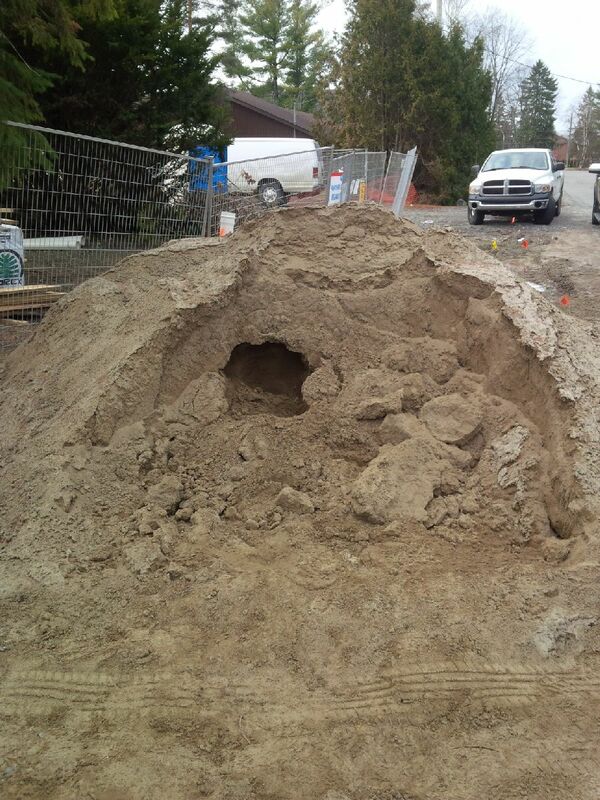 Before you start digging, you must contact Ontario One Call at 1-800-400-2255. 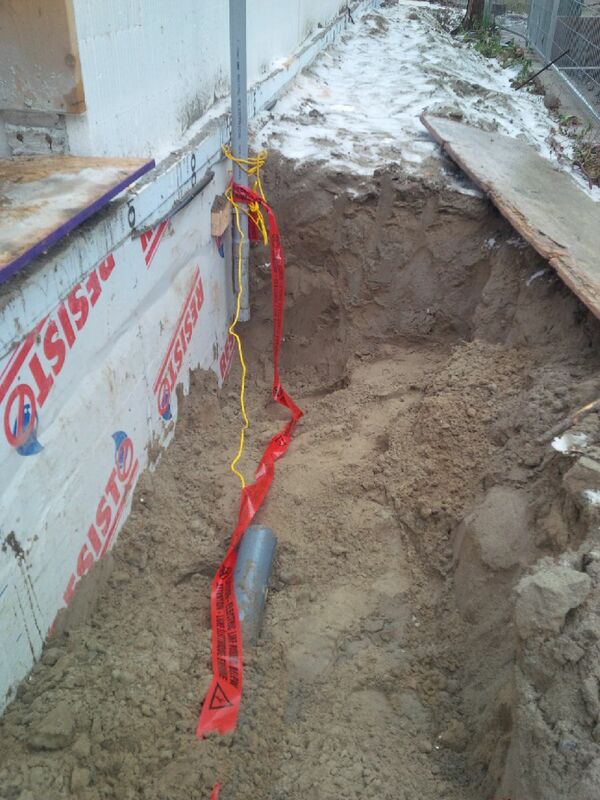 It’s required to have all underground service lines located so you do not accidentally cause injury or property damage. Resources are available online, including how to read a locate sheet. 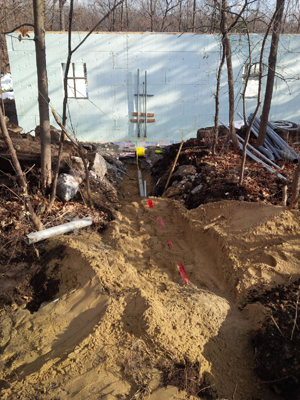 Once payment for the Customer Layout has been received and all underground locates properly marked, you can prepare your trench for its first inspection. There are required measurements for the width and depth of trenches. 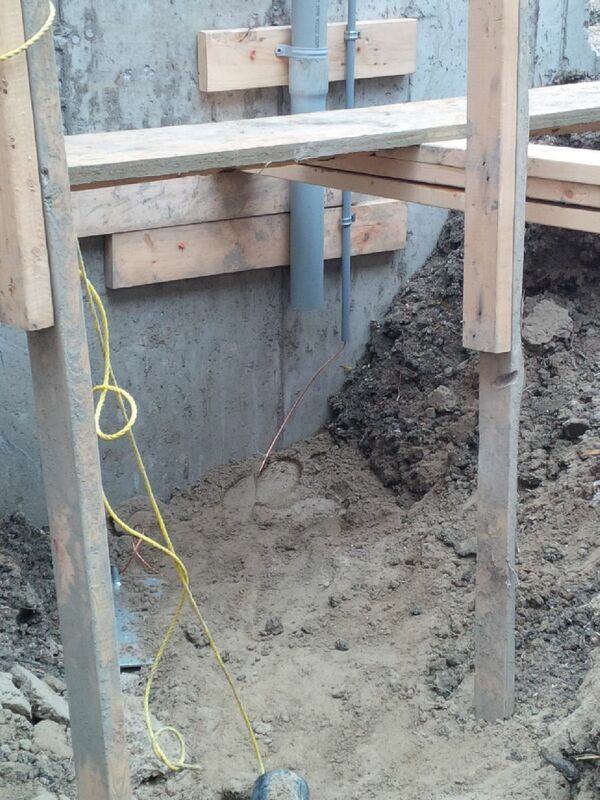 Refer to UDS0003 or UDS0021 for specifications. 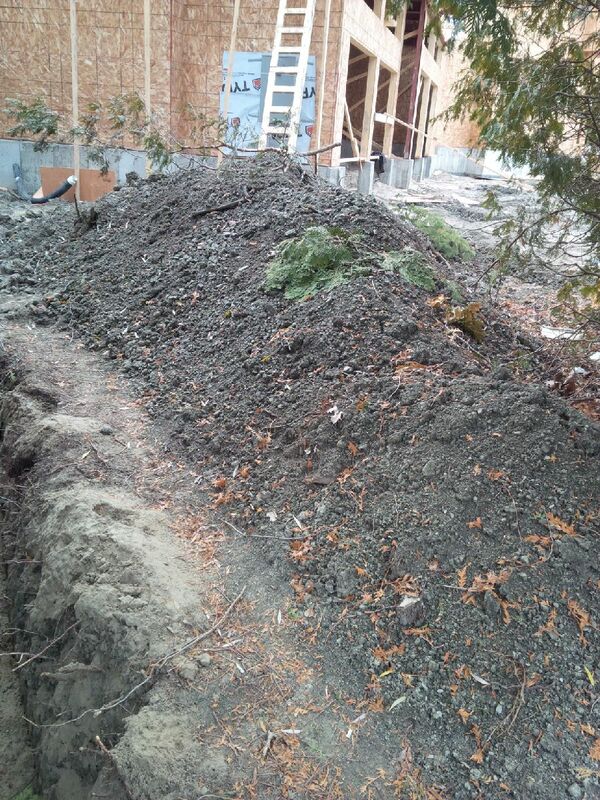 The sloping of the trench walls must conform to requirements specified in the Occupational Health and Safety Act. 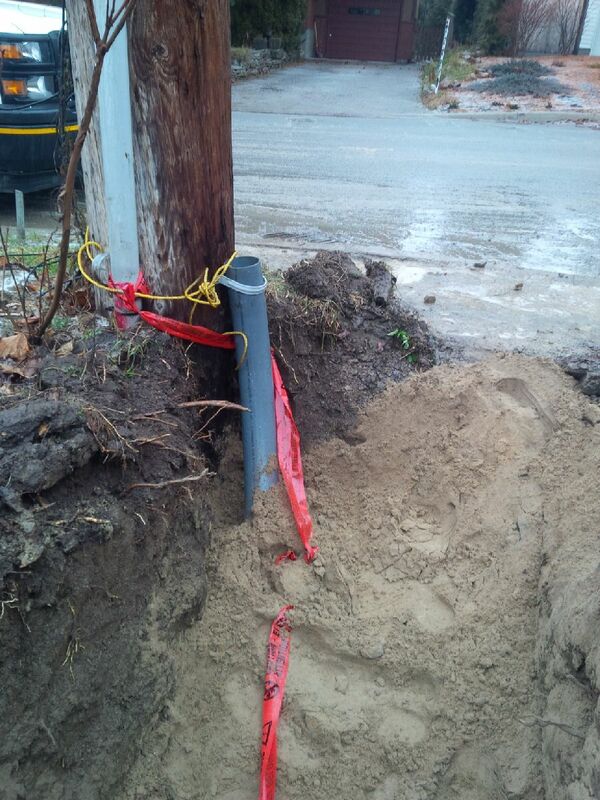 If your service connection is to a pole lateral, you need to build the trench from the meter base to the pole. 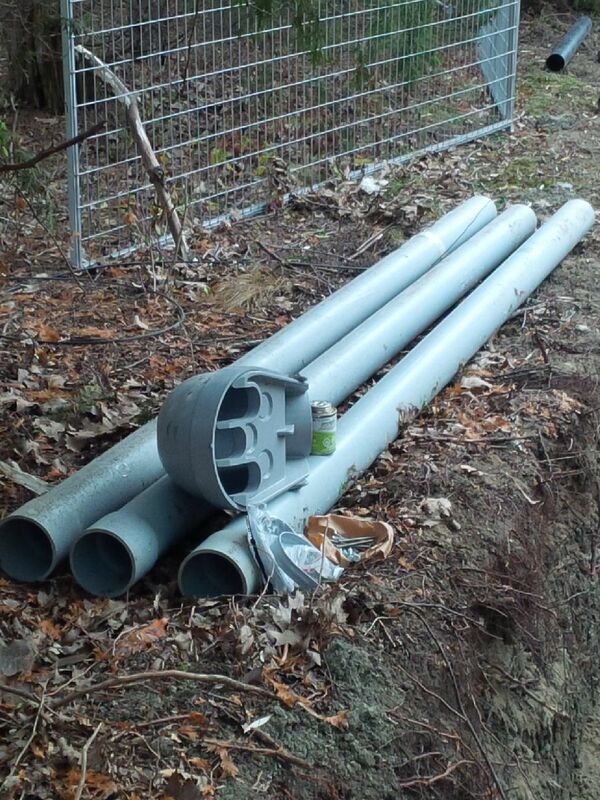 Straps, screws, weather head and three pieces of conduit will be needed to complete this work. Refer to UDS0023 for specifications. 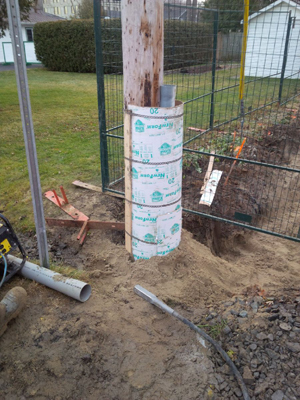 If your service connection is to a pad mount transformer, you will need to dig the trench from the meter base to the construction pre-work. 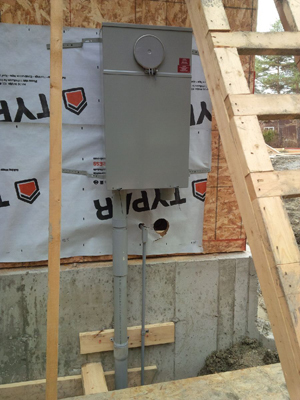 Refer to UDS0012 for specifications. 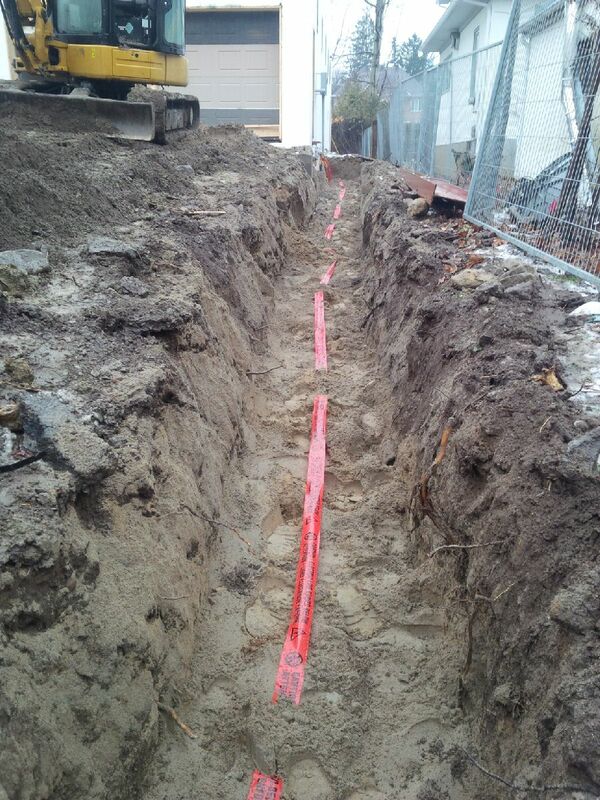 If your service connection is to an underground cable, you will need to dig the trench from the meter base to the secondary cable stub, and then dig a splice pit to expose the cable. Refer to UDS0003 for specifications. 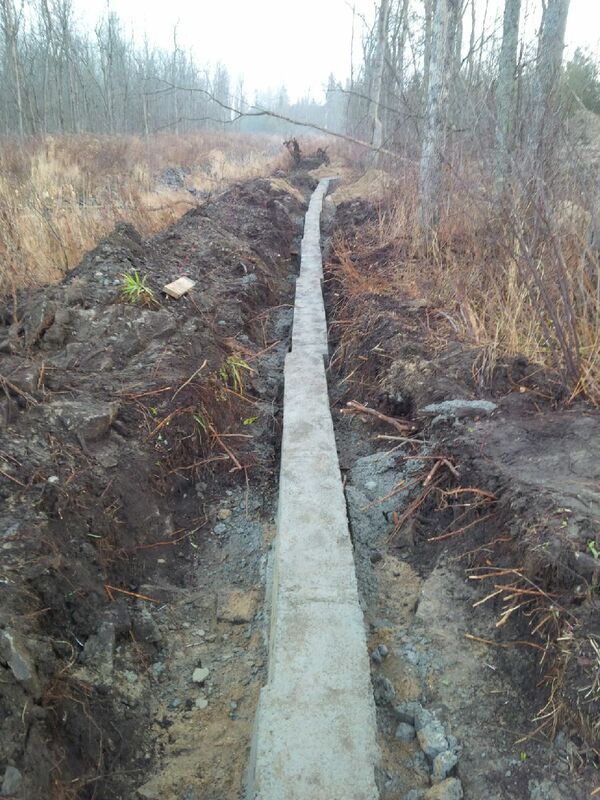 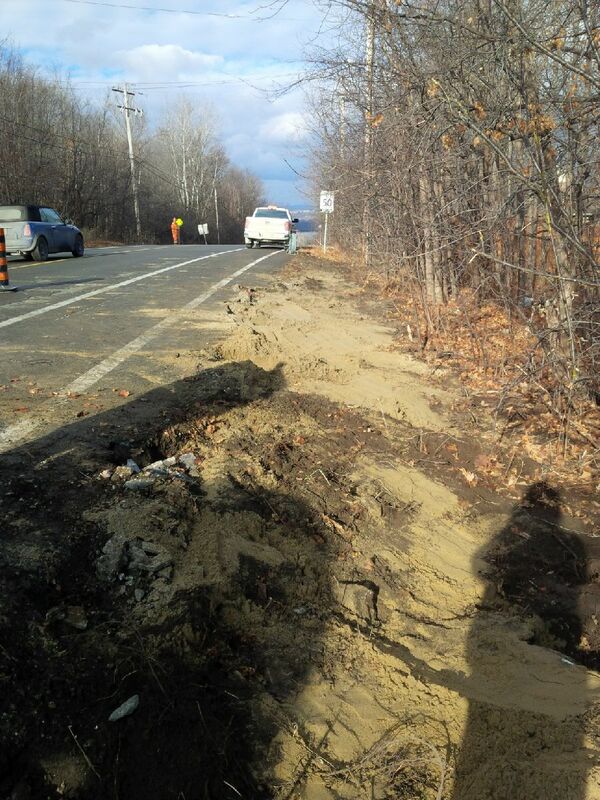 If you have questions about trench construction, please call 613-738-6418 option 1 for assistance. 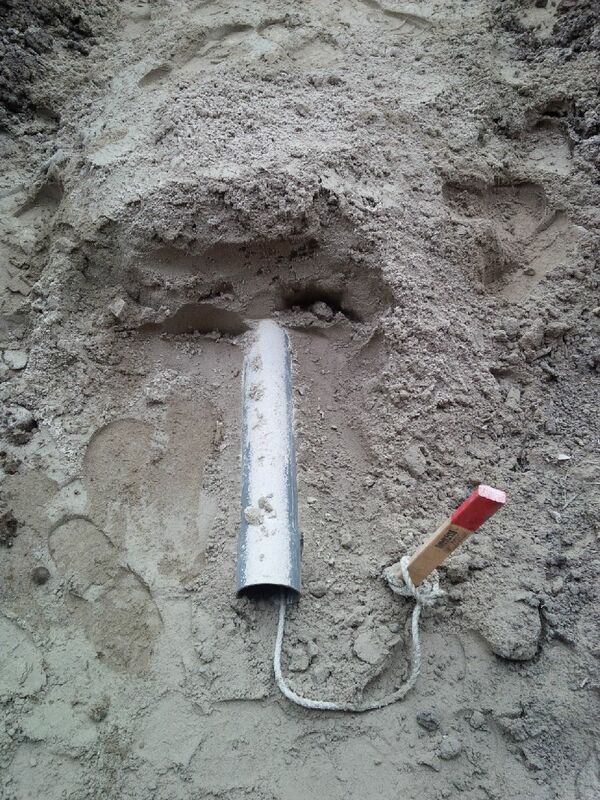 After the trench has been dug, you’re required to install a DB2 duct (100mm) within the trench. 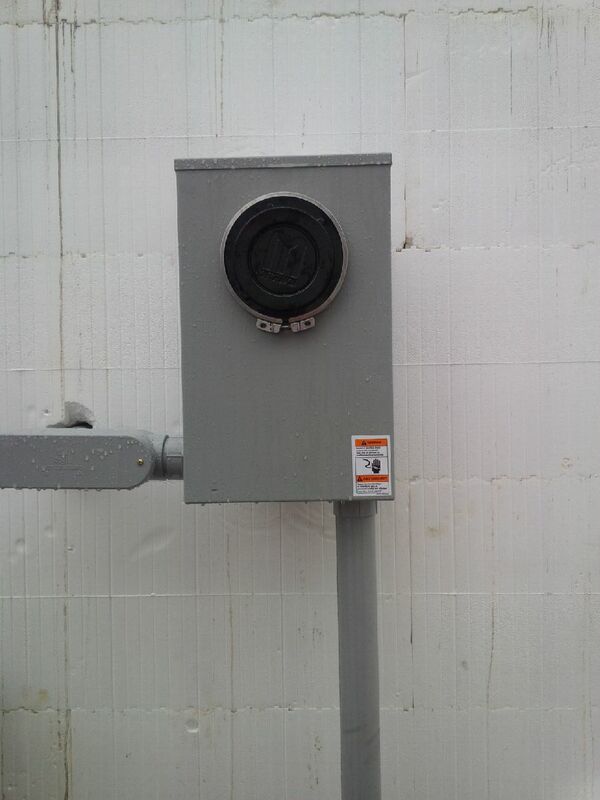 Refer to UDS0003 for specifications. In addition, a rope with a diameter of 9.65mm must be installed within the duct. 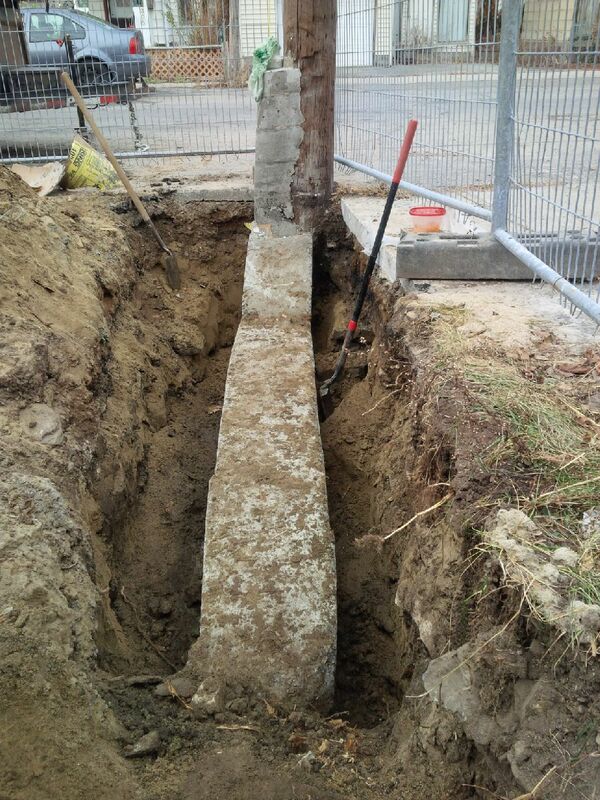 Next, install a 200A king size underground meter base, or the size specified in the Customer Layout. Install a service conduit of the appropriate size at the meter base. 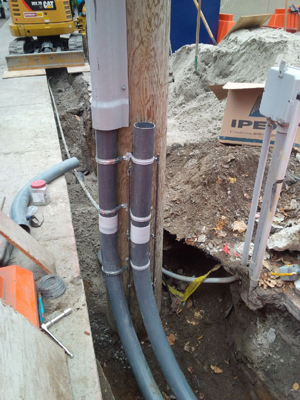 Extend the service conduit to 610 mm below grade and then securely fasten the conduit to the wall 150 mm above grade. 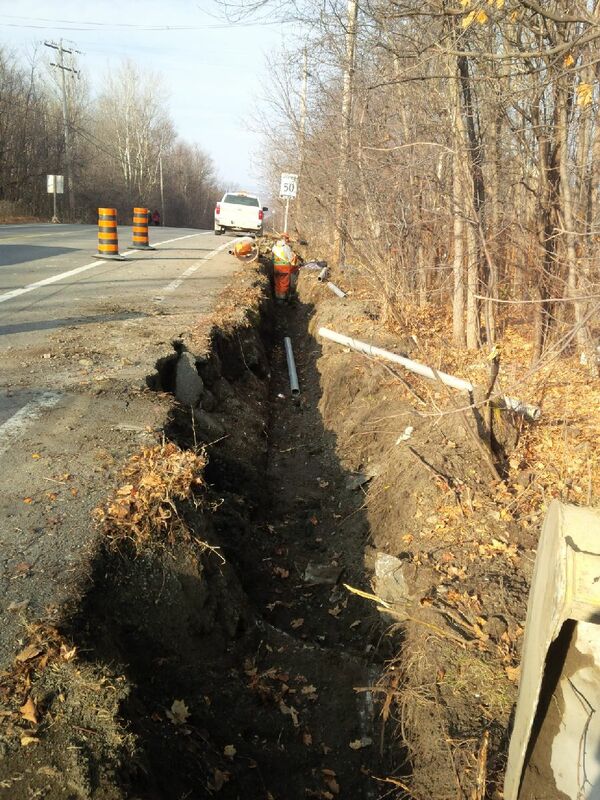 Contact the Hydro Ottawa Service Desk at 613-738-6418 option 1 for your first inspection. Once you have passed your first inspection, backfill the trench with the required clean sand. 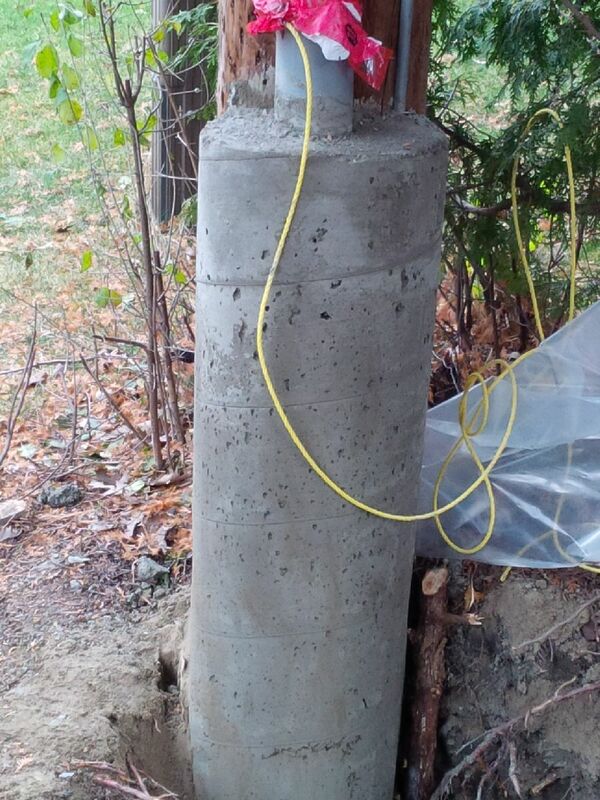 All backfill material must meet the Hydro Ottawa specifications listed below and pass approval. If you are installing telephone, cablevision and/or gas, refer to UDS0003 for the specific requirements. If you are not installing telephone, cablevision and/or gas, you can backfill the trench with the required clean sand as specified in UDS0003. Please note all backfill material must be approved by the Hydro Ottawa Inspector. Once the backfill is complete, contact the Hydro Ottawa Service Desk for your second inspection. After passing the second inspection, you can backfill the trench to grade with clean sand or backfill, except at the meter base end and splice pit end. 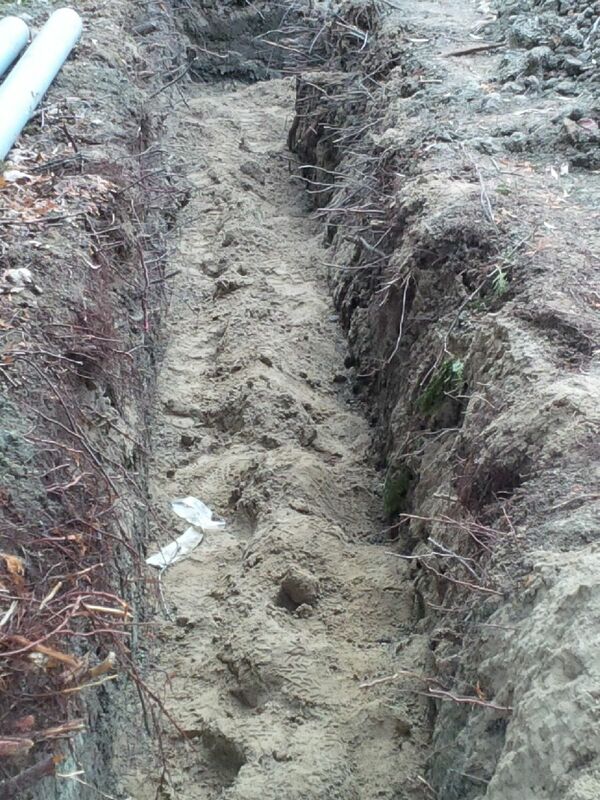 If it’s a customer-owned cable, lay the cable and backfill the splice pit and meter base with clean sand. If the cable was installed by a Hydro Ottawa contractor, they will lay the cable and backfill at the meter base to a minimum of 30mm. 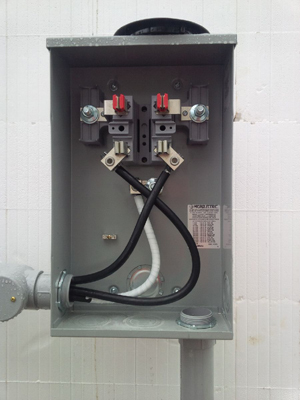 Obtain an Electrical Safety Authority (ESA) Connection Permit. Contact Hydro Ottawa’s Service Desk at 613-738-6418 option 1 to schedule an appointment to have the service energized. These photos can help you understand the details and requirements of correct underground service construction.